Over the past couple decades, the Entrada Institute has become an integral part of our community. 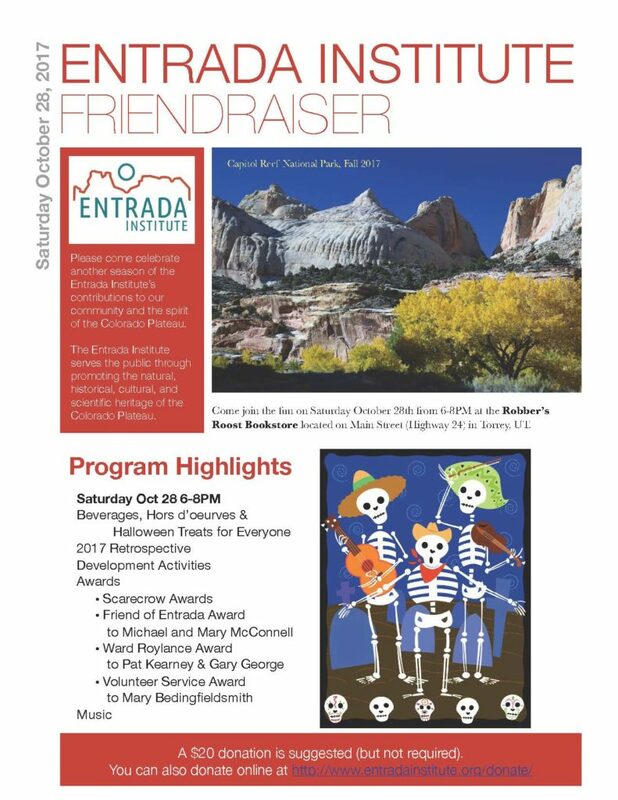 The Entrada Institute serves the public through promoting the natural, historical, cultural, and scientific heritage of the Colorado Plateau. Come celebrate our community and show your support for this local nonprofit organization at our fundraising event. You don’t need to wait for this year’s Friendraiser. To donate, go to the Donate Page. To make your donation, go to the , go to the Donate Page.